There is something about New York that is indescribably mysterious. I felt like being adrift into an energy that is so magnetic. The feeling of euphoria being at the city is utterly addicting that I don’t want to leave at all. As a certified city person who loves an urban jungle that has everything to offer me, I definitely fell in love with New York City. It is like an exotic forest of vast magnificent buildings and countless sky scrappers that is truly impressive in an astounding and eclectic way. Is like a sea of electronic advertising billboards where tourist from around the world swims through the flashes of its fascinating multicolored glow at the center of Manhattan. Amidst its chaotic and busy atmosphere, everyone is busy snapping pictures beneath the commercial hub’s iconic neon billboards. I just love watching people come and go from different directions in this part of New York City. Some find it a clamorous place while I find it pleasantly cool and exciting. In 2013, there was a government shutdown where most of the parks and tourist attractions are inaccessible. Frustrated as I am to visit the Statue of Liberty, we went to a ferry ride from Manhattan to Staten Island. It gives me a different view of the statue and the island as a whole. It is one of the best way to see and capture some great shots of the statue with the back draft of New York City sunset. It was stunning. The cold windy weather of autumn made it more exciting. Who doesn’t love New York during fall anyway. 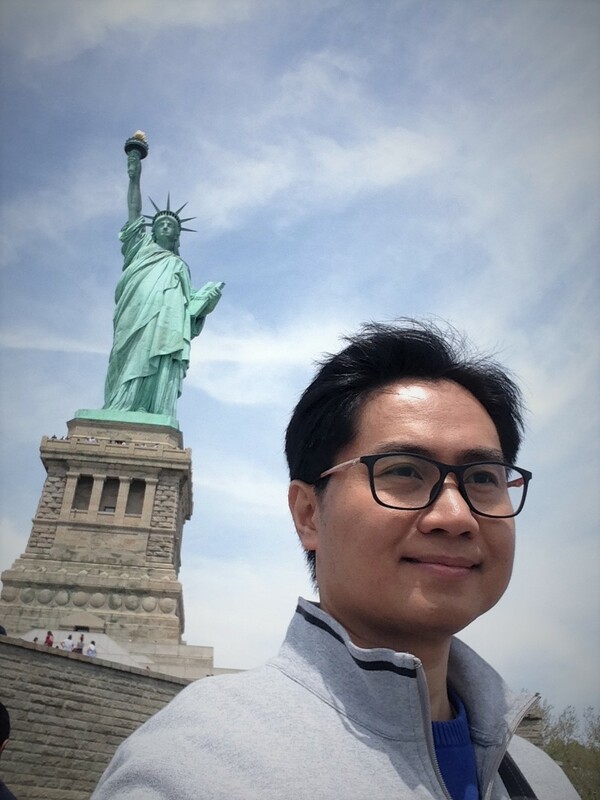 Spring 2016, a short boat trip brings me from Manhattan to the liberty island where the Statue of Liberty is situated. A gigantic iconic landmark that is well known in the world welcomes every tourist in this tiny island. 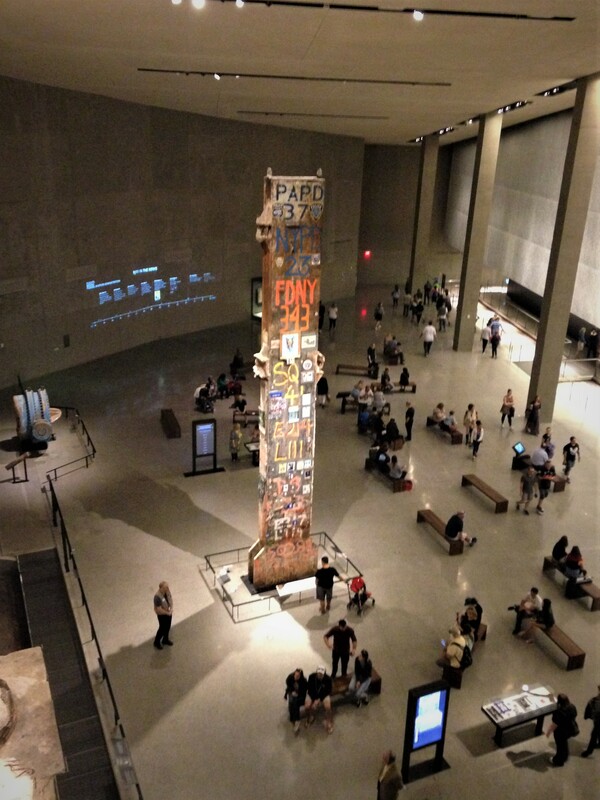 No trip in New York is complete without visiting this immense symbolic structure. The story behind the statue and the image itself is truly spectacular. It’s in every travelers list to see and visit. Based from research, the Statue of Liberty is a gift from France for the centennial of America’s Independence which now symbolizes the USA and New York in particular. The statue depicts a tall female form with a torch in one hand and a tablet in the other. The tablet has a date on it July IV, MDCCLXXVI which depicts the day America’s independence. She has chains on her feet and there are seven spikes in the crown of the statue which stands for the seven continents or seven seas of the world. Another bucket list ticked was to walk across the Brooklyn Bridge. It took us 35 to 45 minutes strolling casually, taking some pictures and admiring the views. You can walk across the Brooklyn Bridge from Manhattan into Brooklyn or from Brooklyn to Manhattan. Either way both are lovely experience. I got the chance to cross the bridge both ways. I prefer walking from Brooklyn to Manhattan because of the spectacular skyline view of downtown Manhattan. However when you’re at the bridge, veer to the left into pedestrian lane. Watch out for bikes as you cross, they go fast and don’t like pedestrians. Brooklyn Bridge stands as one of New York City’s most recognizable symbols and not to mention a magnificent feat of engineering which was built from 1869-1883, is known to be the first suspension bridge to use steel rather than iron for its cable. It is 5,989 feet long (1825 meters) from one end to the other. The best way to escape the hustle and bustle of the city, is to visit the famous park in the heart of Manhattan, New York City. Covering over 340 hectares, an example of a grand urban landscape architecture, Central Park is the green oasis in the middle of New York City. This provide a nice change of pace after a hectic day of sight seeing. Central Park is stunning and the Manhattan skyline is gorgeous thing to see from another perspective. I can spend an entire tranquil harmonious day wandering its grounds, admiring upon nearly 50 fountains, monuments and sculpture, or gazing its 36 bridges and arches… huge isn’t it? It’s an environmental haven, a playground, a running track, a venue for pop music, opera, theater and street entertainers. The parks terrain and vegetation are highly varied and range from flat grassy swards, gentle slope, and shady glens to steep rocky ravines. There is a place for everyone. A safe haven for athletes, musicians, strollers and day dreamers like me. 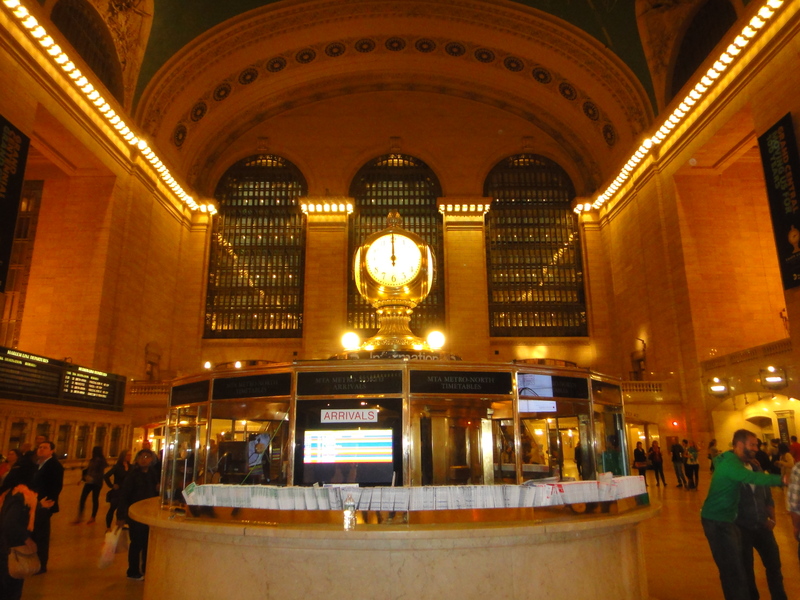 Grand Central Terminal also referred to as Grand Central Station or simply Grand Central is a commuter and intercity railroad terminal at 42nd street and Park Avenue in Midtown Manhattan in New York City. Grand Central Terminal is an icon in New York City, an essential part of daily life for New Yorkers, and a destination for travelers around the world. I visited several museums in some parts of the world, but this so far the most emotional and moving experience I ever felt inside a museum. It is breathtakingly tragic and heroic at the same time. The deafening silence inside the museum says it all. Is located in the upper New York bay just off the New Jersey coast, within the shadow of the Statue of Liberty. For over 60 years, Ellis Island was the gateway for millions of Americans to the United States. It is said that from 1892 to 1954, over 12 million immigrants entered USA through the portal of Ellis Island. It is now Ellis Island Immigration Museum that tells the story of the journey of millions of men, women and children from around the world who sought a new future. Also known as the “Island of Hope” for the vast majority of immigrants and at the same time it became the “Island of Tears” a place where families were separated and individuals were denied entry into the United States. When I think of America, in a flash I think about New York. A mind blowing city that can only be described as illuminating, electrifying and exhilarating fun filled city. Very few cities truly captures my imagination and heart as a traveler, and New York is one of them. 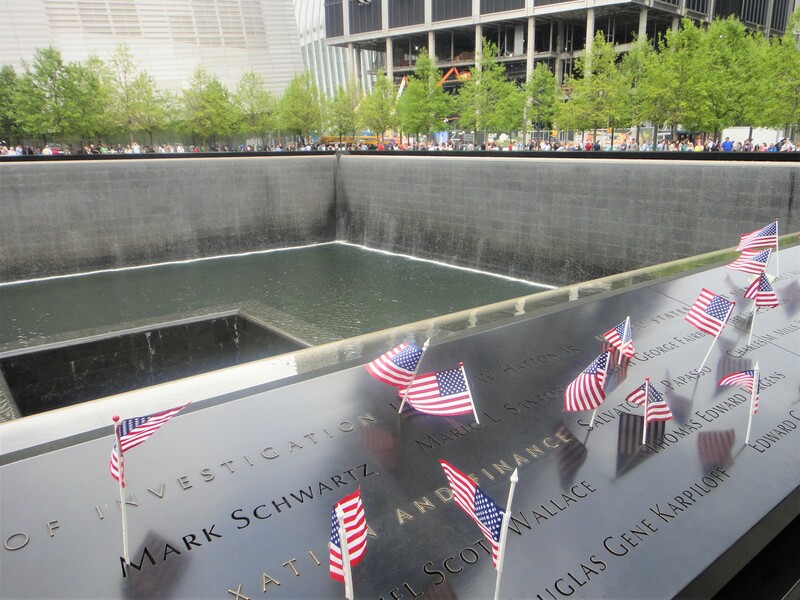 Definitely one of world’s greatest cities, New York offers something for everyone. New York oh New York… historically significant… the city that never sleeps… the Big Apple… a travelers haven… a shoppers paradise… whatever it is New York I will be back. wow..excellent description of NY city..
Excellently written! Captures the beauty of the places you have visited! Well done Jhune… keep travelling and keep writing! I like the way you define the places. Thanks JJ seems we’ve been there as we read your article.